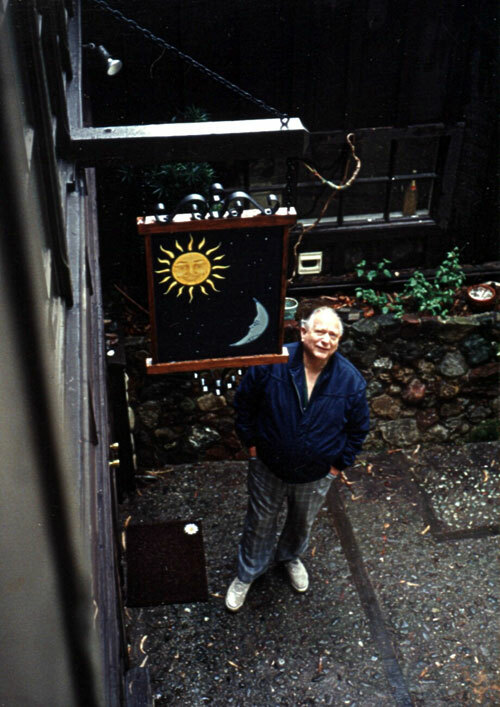 Jack stands beneath the wonderful Laughing Sun and Crying Moon signboard painted for him by Kerrie Hanlon during Terry’s 1988 DUFF visit. 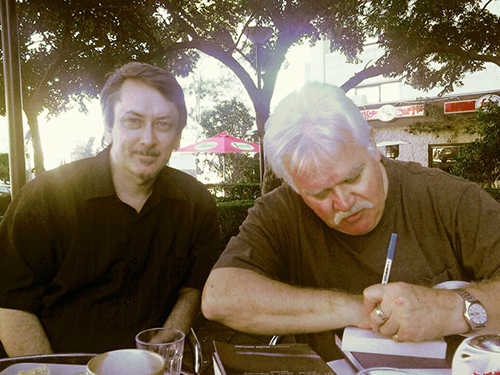 “Smuggler” Dowling and “Commodore” Vance hatching more grand schemes. 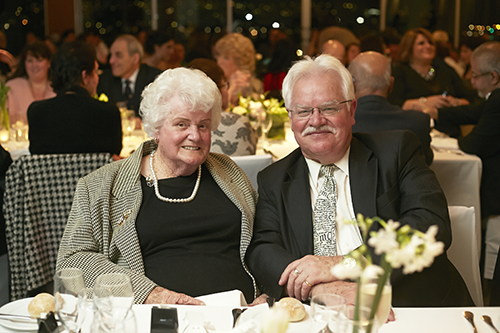 June Dally-Watkins BFC Graduation. 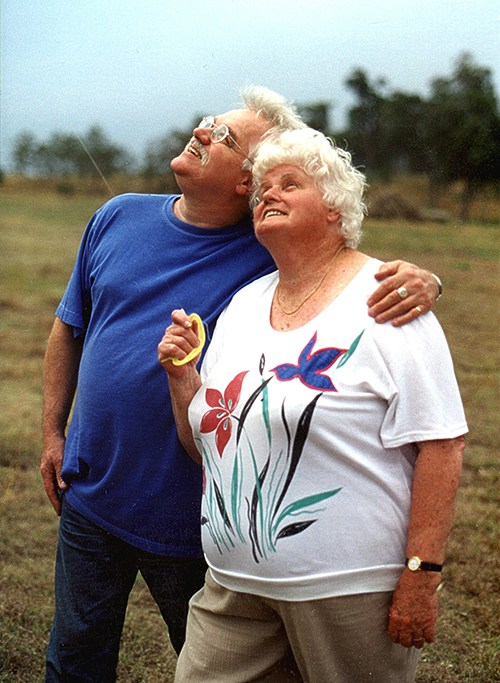 Terry poses as a penguin to the left of Miss Dally. 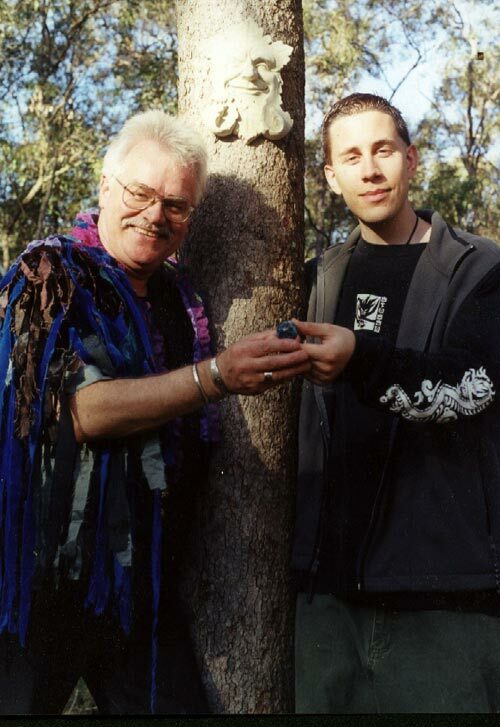 Terry and Jesse hold a glass Josh Simpson planet at Starlight Bluff near Casino in north-eastern New South Wales. 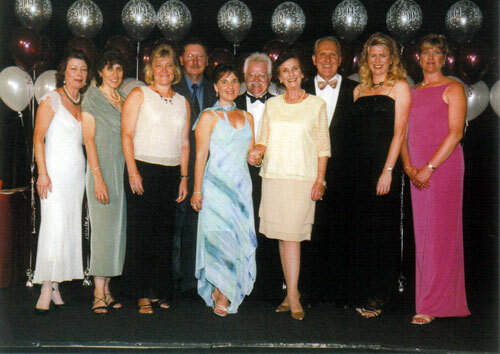 June Dally-Watkins BFC Graduation 2005. 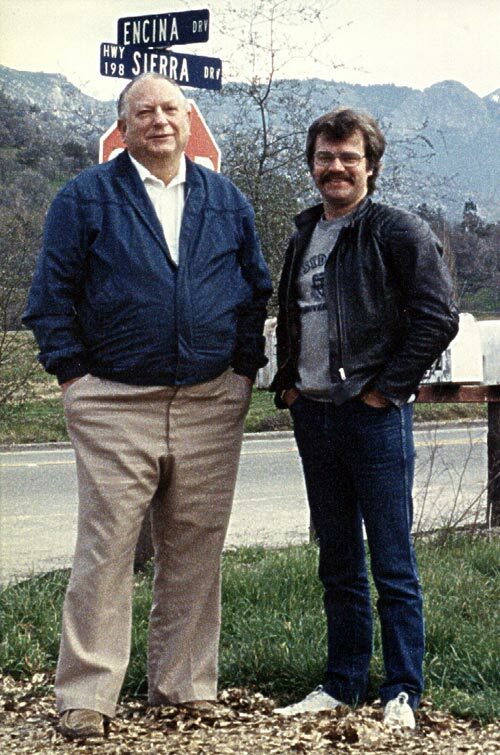 Living proof that it was no coincidence. 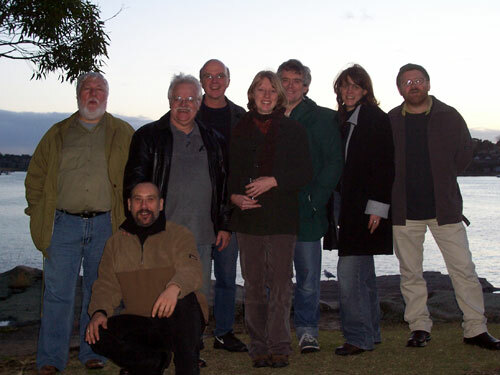 Close friends gather to celebrate the Winter Solstice. 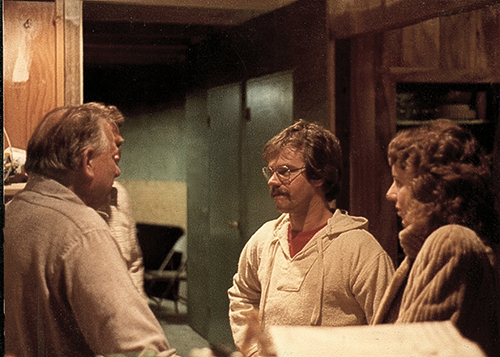 Terry and the truly faithful have been observing this turning of the year since 1985. 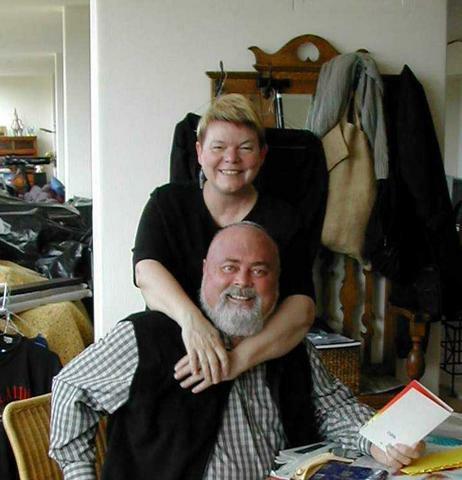 Terry took this shot of Jack waiting to be driven over to San Francisco to collect the Emperor Norton Award, September 2005. 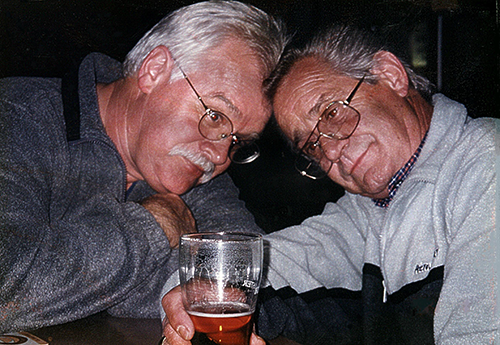 Terry and his journalist/writer/traveller colleague Bradley have been dear friends since the early 70s. 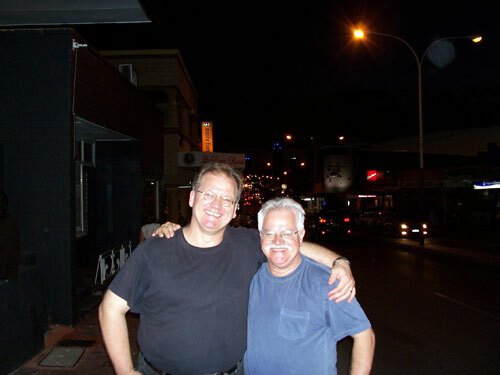 Bradley is responsible for Terry becoming SF/Fantasy reviewer at The Weekend Australian for ninteen years from 1989 to 2008. 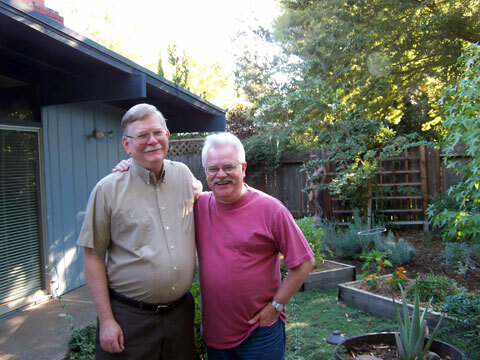 Taken during Terry’s visit to Davis in Northern California in 2005. 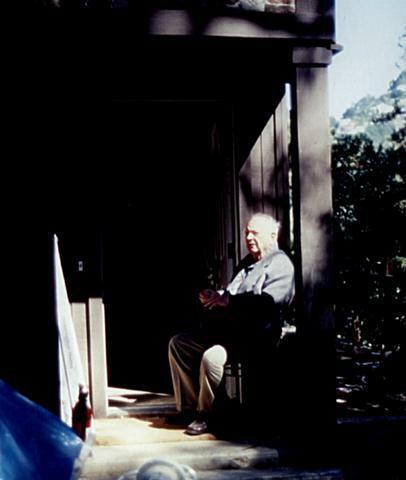 Alan is a Professor of Psychology at the University of California, Davis, a specialist in psychobiography, and a highly respected authority on the lives and work of Carl Jung and Cordwainer Smith. 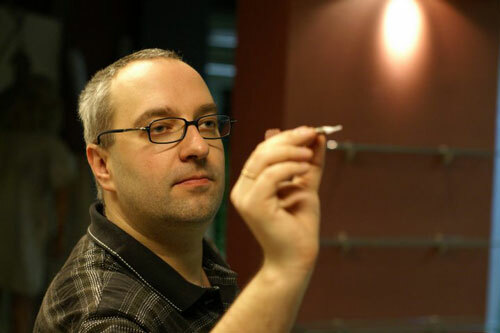 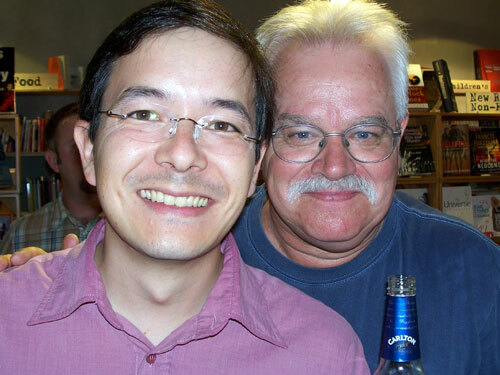 He became a marker for Terry’s PhD thesis in 2006. 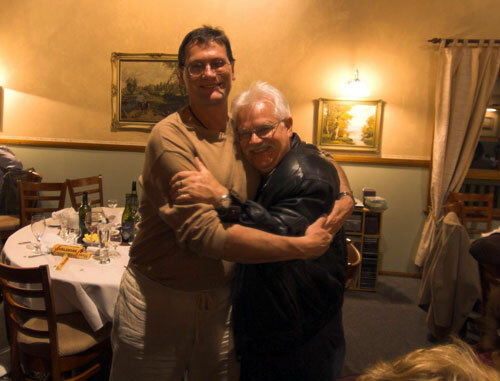 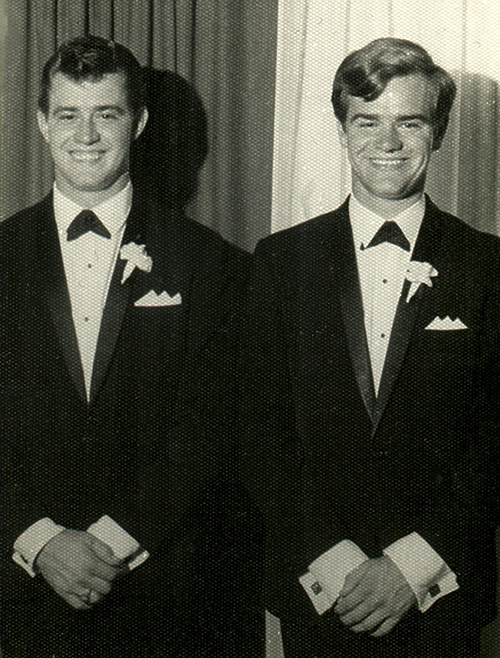 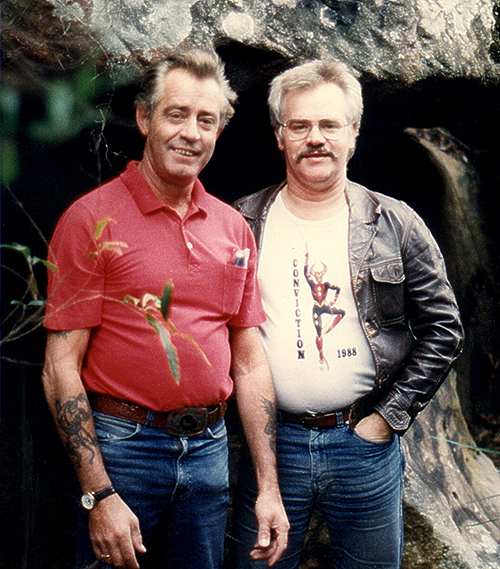 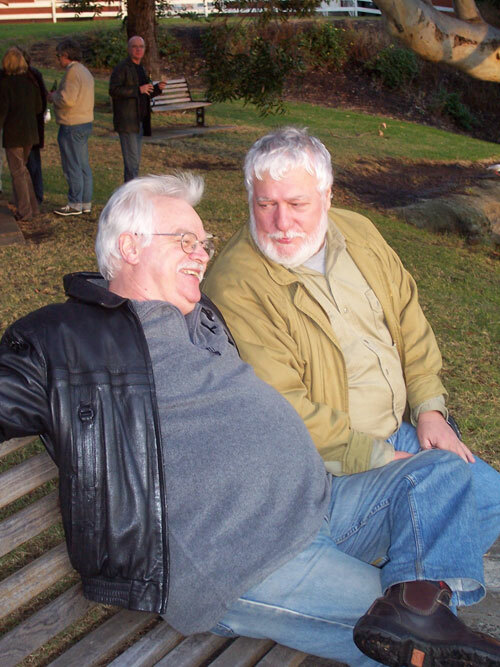 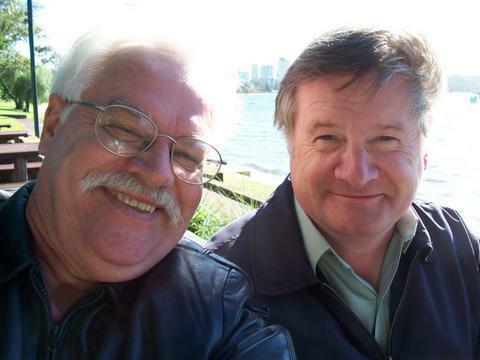 Terry and Van have been close friends since their undergrad days at Sydney University in the early 70s. 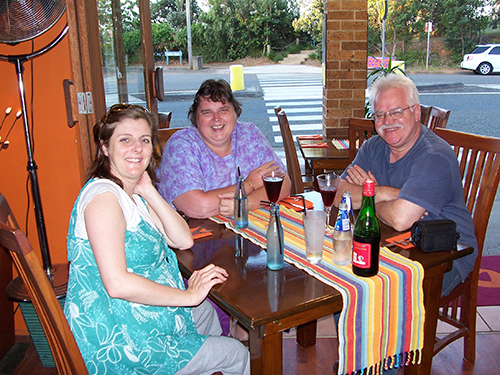 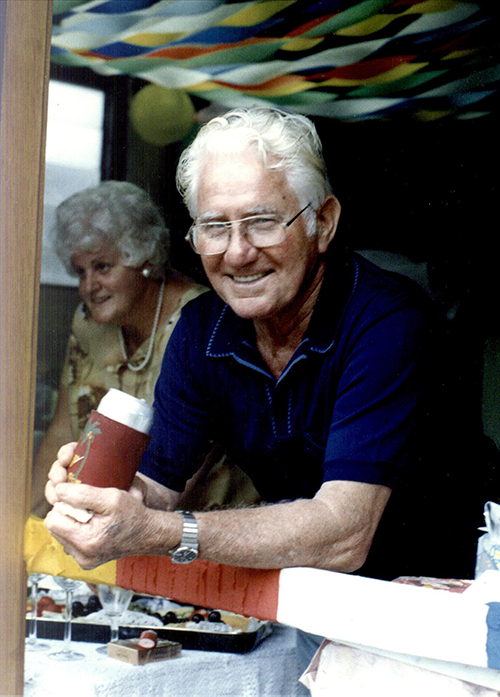 This shot was taken at the Matilda Bay Tea Rooms in Perth at Easter 2006. 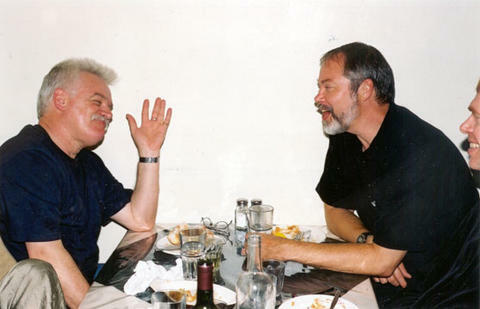 There is absolutely no truth to the rumour that Terry became friends with Grant because a gypsy fortune teller told him to always associate with someone crazier than himself. 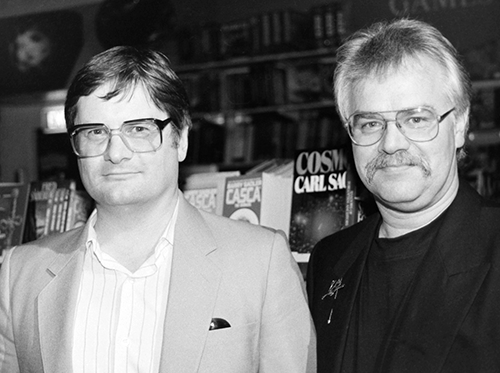 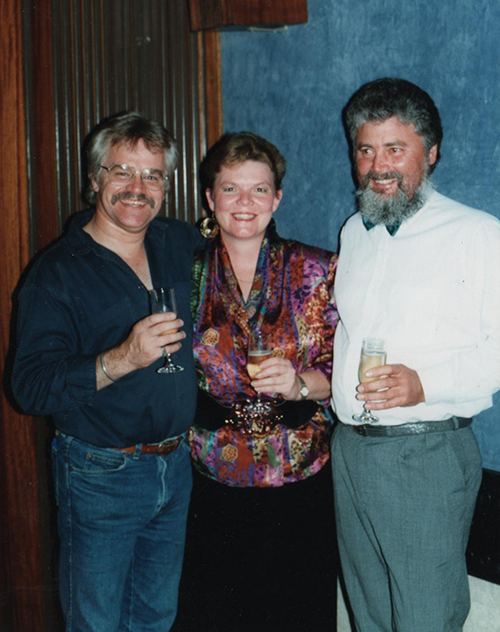 Terry, Mariann and Peter McNamara, Wormwood launch, 1991. 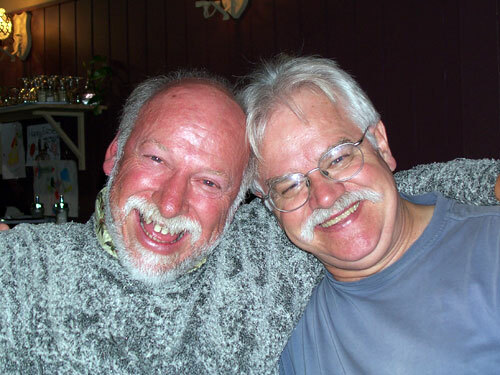 The heart and soul of Aphelion Publications. 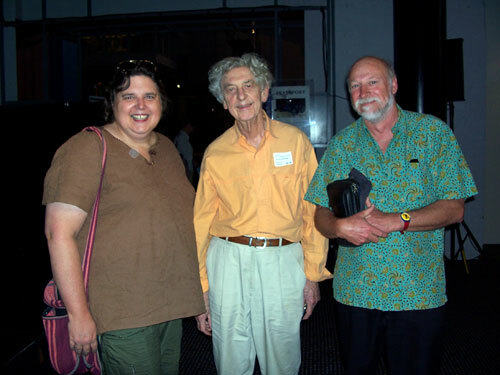 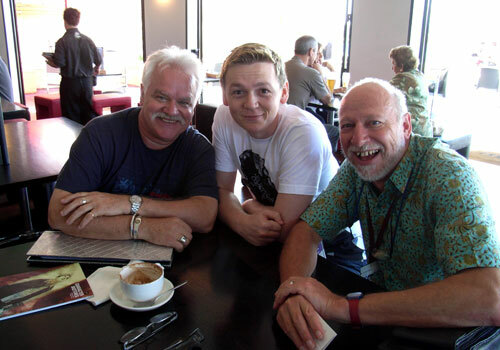 Kerri Larkin, Norman Hetherington (creator, Mr Squiggle) and Grant Stone at the Powerhouse Museum, April 2006. 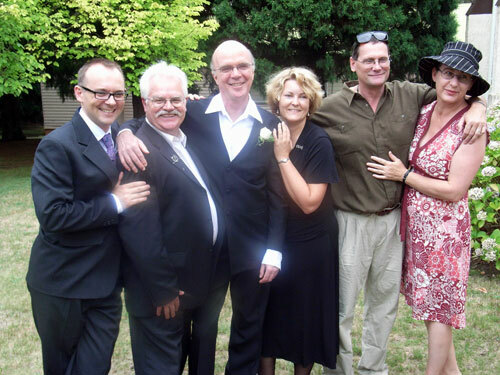 Celebrating Simon’s 50th in June 2006. 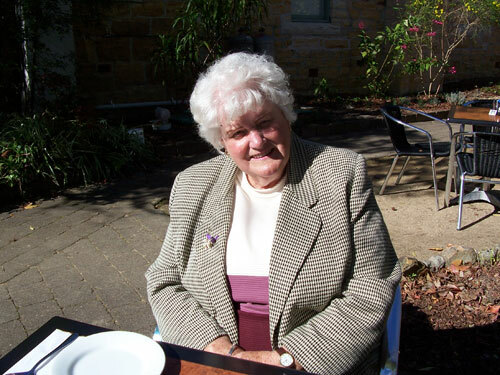 Terry’s mother celebrates her 82nd birthday at the Norman Lindsay Gallery. 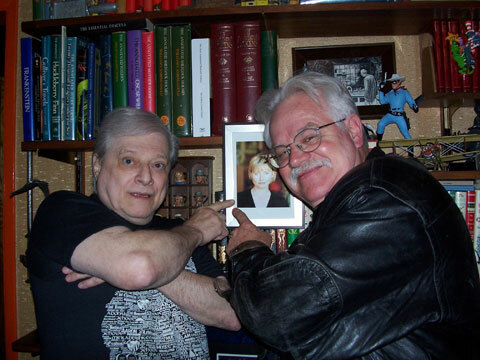 Two “rogue scholars” pay their respects to Susan Ellison, the special lady taking the photograph. 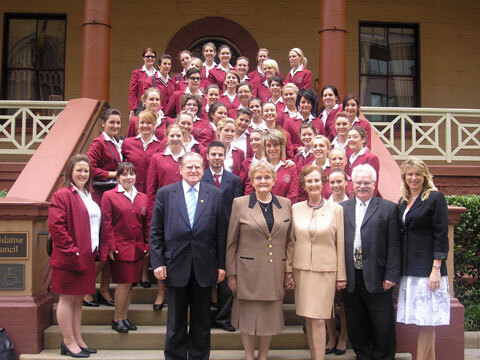 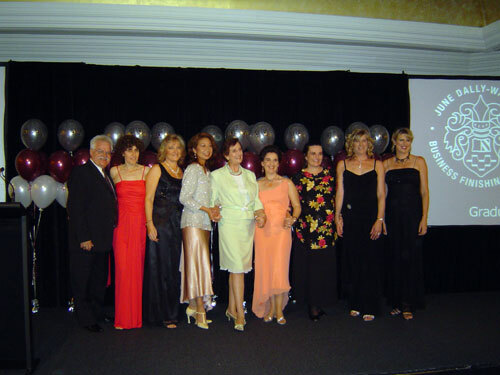 The Reverend Fred Nile, Mrs Elaine Nile, June Dally-Watkins, Terry and teaching colleague Alison Watts with JDW students at the College’s annual NSW Parliament House lunch, 8 November 2006. 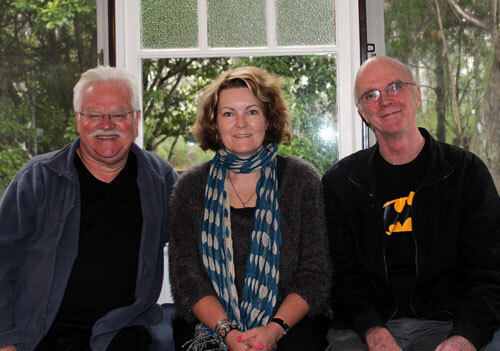 TD, Cat Sparks and Rob Hood at WAMSS Writers’ Retreat, June 2012. 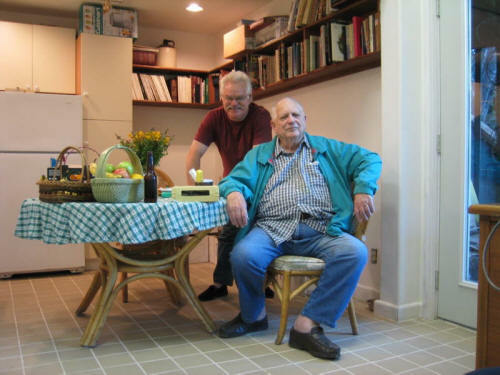 Terry's first meeting with Jack Vance in Oakland, December 1980. 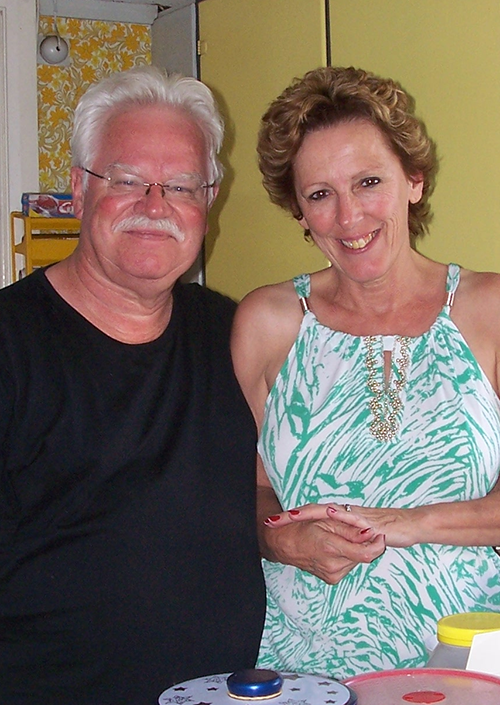 Terry and Merelyn, 15 December 2014.